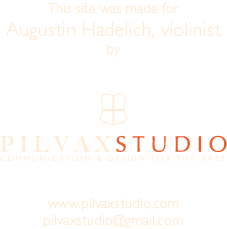 Gimeno’s headstrong partner was the fabulous virtuoso Augustin Hadelich. Thankfully, both were in agreement that even Mendelssohn’s familiar violin concerto can be given a fresh interpretation. Hadelich’s sleeves-up approach and delight in detail exactly suited Gimeno’s voyage of discovery. It was every bit as much a triumph as the closing ‘Scheherazade’ by Rimsky-Korsakov, out of which Gimeno conjured a pithy, fantastical tale.